it begins. Everyone knows that cable / Internet companies are shady, shifty organizations whose disgusting practices (did I mention their disgusting practices?) have made them the most despised companies in America, among all industries. That means if you took the worst companies from every industry; cars, sandwiches, grocery stores, clothing manufacturers, everything, and then chose the worst of those, cable / Internet companies would still be on top of the list. They are monopolies that do everything in their power to stifle competition and make you pay for it. I always have to emit a disdainful sneer when they tell me how fast their service is, yet limit how much I can use it. 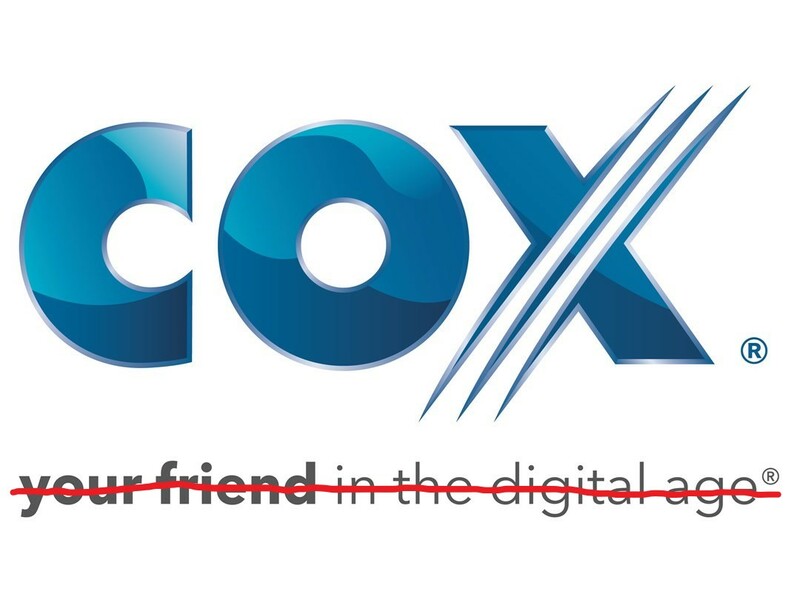 On the other hand, I’ve always been relatively happy with Cox Communications, who was my provider when I lived in Las Vegas, and is again now that I am here in Irvine. They always tended to keep out of my business, and while the other cable companies were wallowing in a swere of poor cutsomer service and poor performace, Cox just trudged along. Now, however, it appears they are becoming emboldened, and I suspect that is because of the appointment of Ajit Pai as head of the FCC, which is the worst news that could happen in this domain. When Tom Wheeler, a former cable company lobbyist, was appointed, everyone thought it would be the end of net neutrality, however he happily surprised us all. 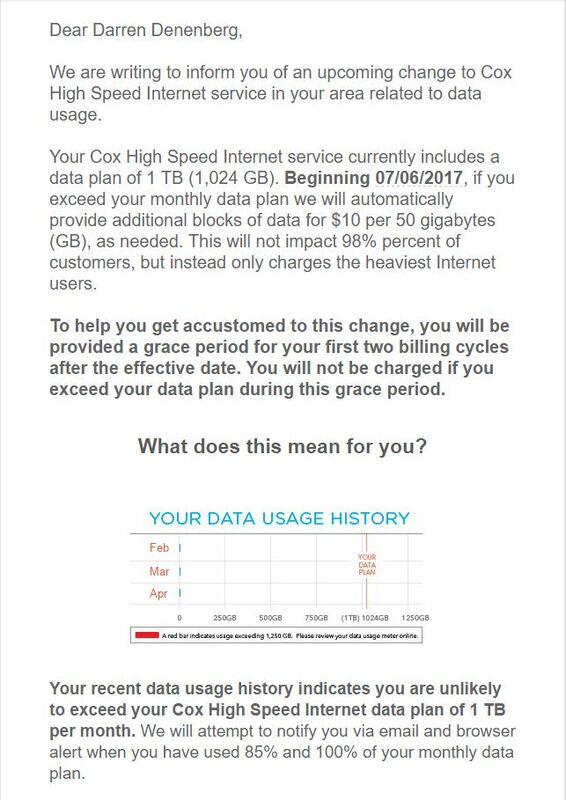 I suspect we will not be so lucky with Pai in place, and if this email from Cox is anything to go by, we could be in some real trouble. Note the email states they will automatically charge for additional 50GB blocks, something my cel phone provider does as well, and provides what was supposed to be an evaluation of my Internet usage but shows a bunch of zeros instead. I wonder if that was deliberate, or a simple oversight. At least they try to assure me that I shouldn’t have any problems with this based on past usage, although I am a heavy user of Steam (although not so much a heavy downloader). I’ll just leave it here for you to read in fear, and hope we can fix the incoming storm that is sure to happen.